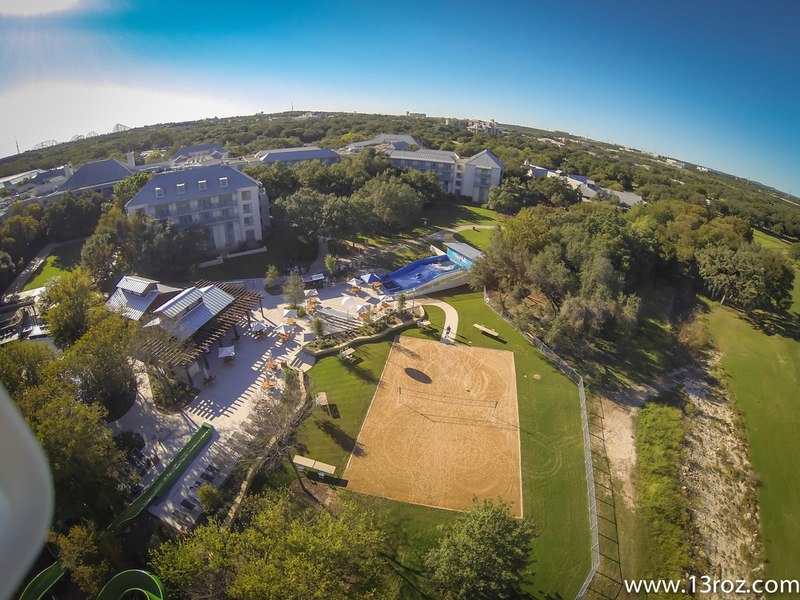 The Hyatt Hill Country Resort and Spa in San Antonio, Texas recently installed a Flowrider Single on their 300 acres of property to go along with the many other 5 Star amenities that they offer, such as beautiful golf courses, fine dining, relaxing spa services and more! The Flowrider is reserved for hotel guests only and is managed by their Hyatt Flow Pro, Matteo Hernandez, a respected competitive rider. However, ever since they welcomed Sean Silveria with open arms for their Grand Opening over Memorial Day weekend, they have become a part of the Flow World and were eager to host an event that would bring some of the best riders from around the country to their wave. There is no better way to do that then to throw down cash money/prizes to draw the riders attention and that’s exactly what they did, dishing out over $6,500 in awards. The Hyatt Hill Country Flowrider hosted its Inaugural Flow Down competition but needless to say it did not appear to be their first rodeo. 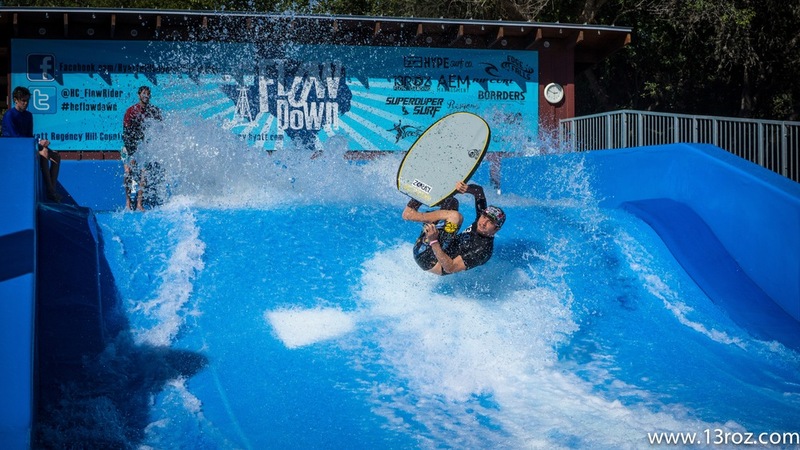 The resort staff welcomed a solid crowd of flowboarders and spectators from various parts of the country, including the current World Champions Sean Silveira (Pro Flowboard), Nick Nguyen (Pro Bodyboard) and 15-year-old Female & Juniors sensation Xana Nash. “Thanks to the sponsors, in conjunction with AEM Management and Hyatt Staffing, the event went off without a hitch and provided a lot of excitement for the in-house guests.” Said Silveira, as he was stoked to be back to the Hyatt. Sean claimed the top spot in the Pro Flowboard divison and placed third in Pro Bodyboard as he was in prime form and looking more than comfortable on the wave. It may be of no surprise that Sean claimed first place, but the young and talented Xana Nash made him put together solid runs before she just let him go home with the $500. Nash also had to keep off Nick Nguyen has he put together a solid stand-up effort. Nguyen, known for his bodyboarding, claimed first in the Pro Bodyboard division as the young up and coming shredder, Nathan Boykin put the pressure on. In addition, shout-outs are in order to all competitors who came out to the event, along with the fabulous staff at the Hyatt for laying out the red carpet and putting on a show! Looking forward to a sizzling summer Flow Down, Yeehaw!